After about six years of going to visit Will's parents in Delaware we finally made it to the State Fair. It started to be a running joke with Will and I because somehow even if we were in Delaware at the time we would always miss the fair. We always made plans to go, but somehow just missed it. Well, not this year, and I'm glad because it was really fun. I don't think I had been to a big State Fair since I was in high school We have been to a little tiny county fair out in West Virginia, but truth be told it was all kind of depressing. Thankfully, this one was pretty darn fun. 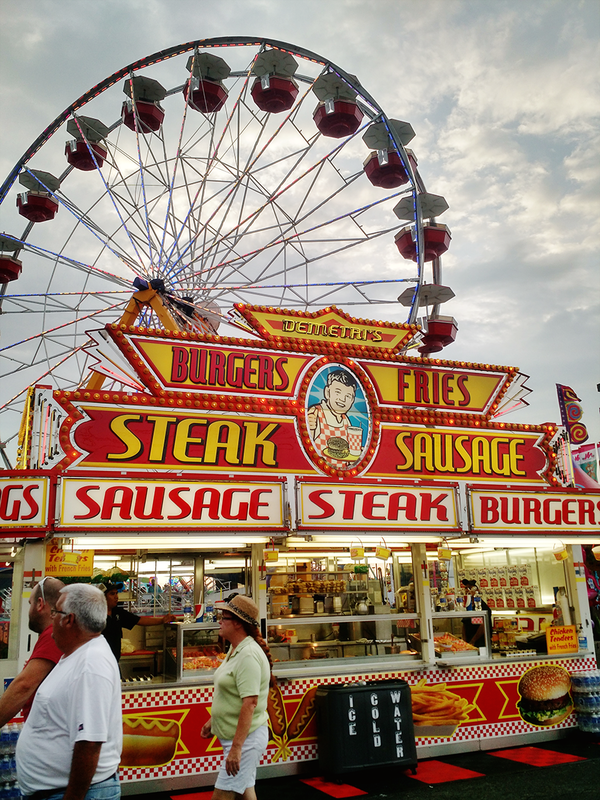 Lots of rides, and even more food!! 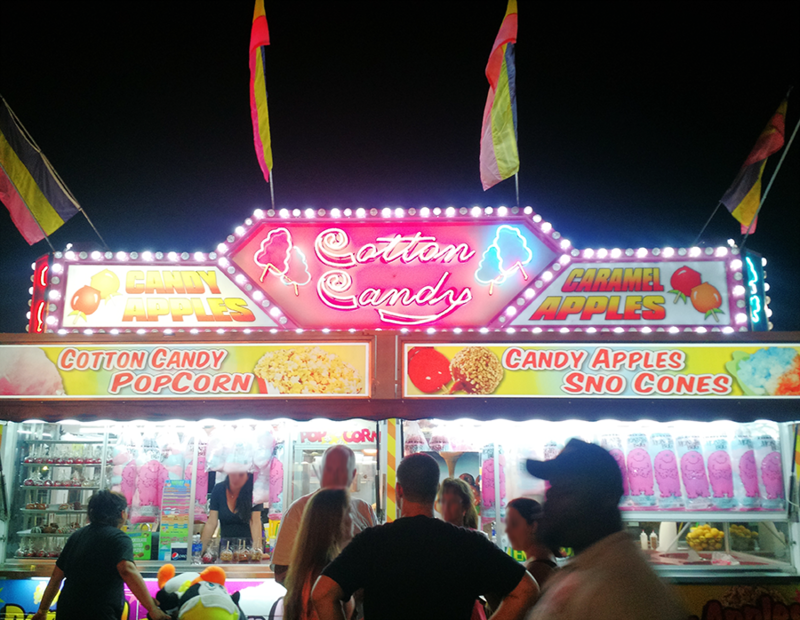 I'm such a sucker for really delicious but probably deadly fair food. This time I was very proud of myself and only had one delicious funnel cake as a treat, instead of gorging on everything until my stomach ached, haha! 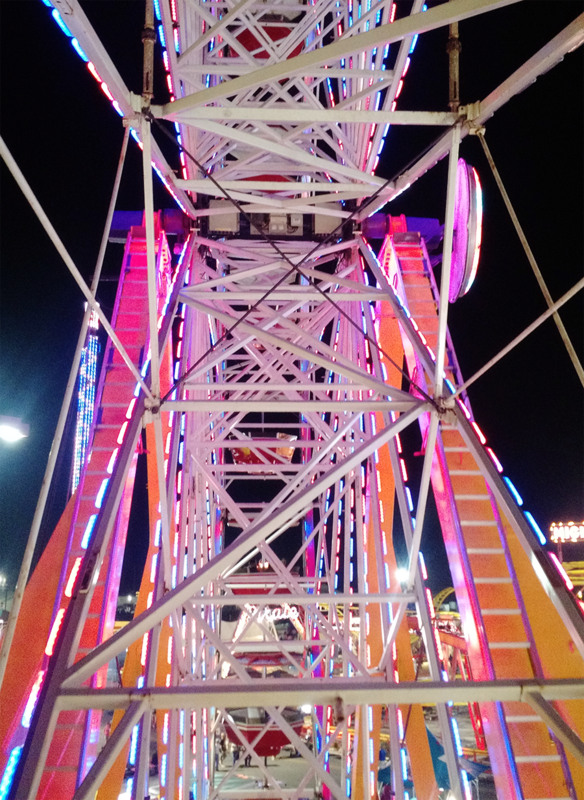 We went all out and took a ride up on the ferris wheel which was really beautiful. I discovered, though, that I apparently don't do well with a combination of heights and swaying. As soon as we were halfway up my brain jumped straight into fear mode and my hands quickly grabbed the center pole (like it would save me), haha. I was only brave enough to take a picture, then quickly handed my phone to Will and asked him to snap a couple more. All in all we had a really great time. 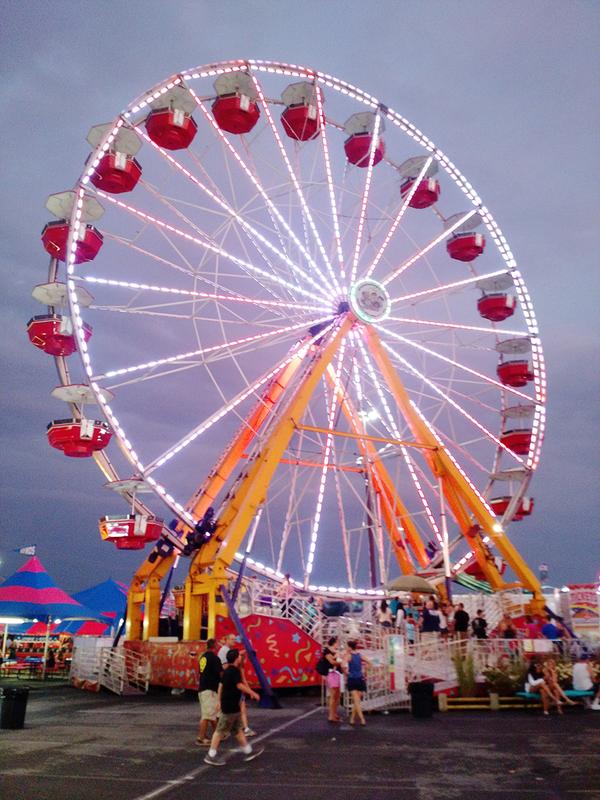 Do you guys ever check out the State Fair in your neck of the woods?